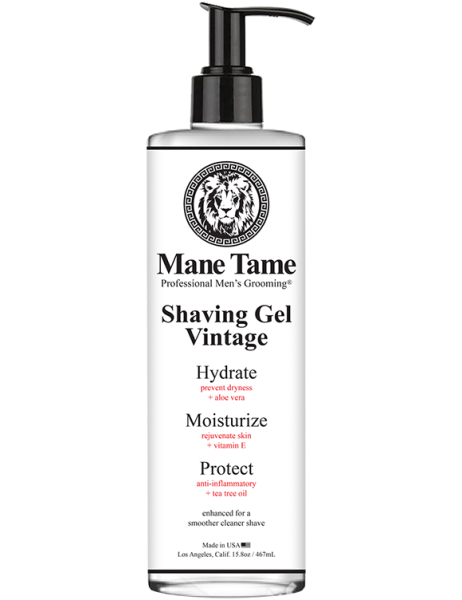 Mane Tame Shaving Gel Vintage 15.8oz is a high-performance grooming product ideal for men looking to experience a clean and healthy shave, sharply line their beard or mustache, and protect their skin from inflammation and dryness. Enhanced for a smoother, cleaner shave. Developed with Tea Tree Oil to suppress inflammation and a soothing shave. Infused with fresh masculine scent. 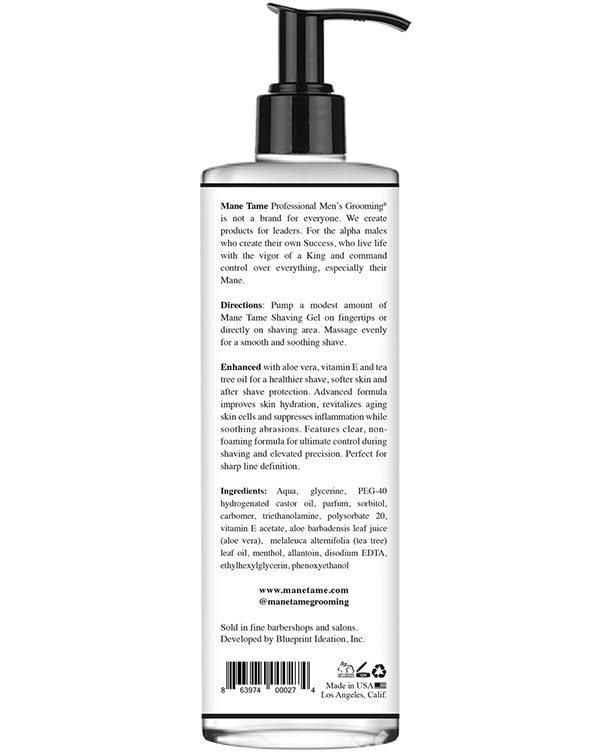 Mane Tame Vintage Shaving Gel 15.8oz is a high-performance grooming product ideal for men looking to experience a clean and healthy shave, sharply line their beard or mustache, and protect their skin from inflammation and dryness. Enhanced for a smoother, cleaner shave. 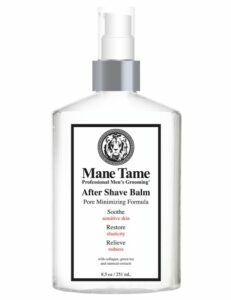 Mane Tame Vintage Shaving Gel is enhanced with aloe vera, Vitamin E and tea tree oil for a healthier shave, softer skin and after shave protection. Advanced formula improves skin hydration, revitalizes aging skin cells and suppresses inflammation while soothing abrasions. Features clear, non-foaming formula for ultimate control during shaving and elevated precision.